In the distant future, the wealthy villain Abraham Goldstein funds a top-secret project to travel to the divine dimension and meet the god of his people. 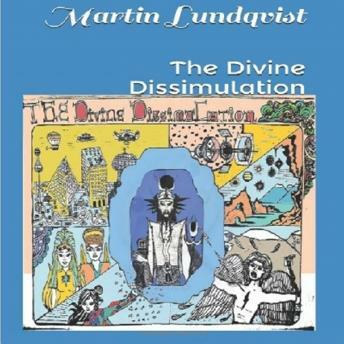 Upon reaching the divine dimension he finds out that God is dead. He also finds the technology necessary to take gods place and become a god in the eyes of men. Many years later Abraham and his group of angels, a group of genetically engineered super soldiers, rule Eden; a world terraformed to simulate the holy land during the Bronze Age. They rule with terror and fear following the ancient laws, until one day when an accident turns Abraham's closest angel Lucifer against him, an event that plants the seed of Abraham's destruction. Meanwhile an ancient force is conspiring in the background to make its return to our world. I loved this book, and it was a great following it to the end. My only concern was that I'd preferred to see Adina win in the end, but it will be interesting to see what direction the author chose for the second part in the series.